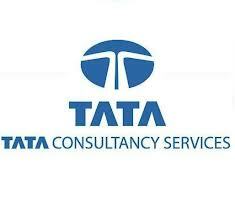 Are you interested in a career in TCS! If you are a final year B.Sc. (Physics, Chemistry, Maths, Computer Science, Electronics, Statistics, IT) or BCA student and are interested in a job in TCS IT, enroll for the TCS Open Ignite and get the first mover advantage. Open Ignite is the largest community of science graduates in the country. Open Ignite program of TCS helps science students launch their careers, by improving their chances of being employed with a host of practice aptitude tests and programming challenges. With Open Ignite program, students can learn anywhere, anytime and at their own pace. Science students can also meet and collaborate with peers, seniors and experts in the industry. TCS Ignite SASTRA University MCA program is intended to provide an opportunity to the science graduates to top up their education qualification, while gaining valuable software industry experience. Those selected for this program will get registered for an MCA program offered by SASTRA University, Tanjore, while simultaneously becoming TCS full-time employees. The second batch for this program will start in July 2013. Like any other MCA program, this is also of three year duration. You should have got the minimum percent prescribed by TCS consistently from 10th standard till graduation. Further, mathematics or statistics should have been one of the subjects in your 12th or graduation level. The graduate program must be a regular, three year course in mathematics, physics, chemistry, statistics, computer science or allied subjects. The whole course spans six semesters. Each semester has both SASTRA University prescribed and TCS-handled subjects. With respect to the subjects prescribed by SASTRA University, it is almost like your college course. Approximately there are three papers per semester for which you will be getting the course material from SASTRA University and at the end of every semester, there will be a paper-pen based examination in each subject. The sixth semester will have only project work that is based on your TCS assigned work and hence there will not be any written examination at the end of sixth semester. The TCS-handled subjects are scored based on your half-yearly performance rating. You should have got at least 50% to be declared as passed. For each subject prescribed by SASTRA University, you have to pay Rs. 5000 (rupees five thousand only). This has to be paid as an annual fee at the commencement of every academic year. There is no fee requirement for TCS-handled subjects.